Inchcape Marine Survey and Inspection, is pleased to announce the launch of our Marine Survey and Inspection product within Indonesian Ports. Hold cleanliness surveys are specifically designed for vessels that may be trading in Australia, in the Grain, Alumina, or mineral sands trades, with our local surveyors having been trained to Australian standards and requirements. A full ‘set of requirements’ will be forwarded to vessels which will detail the standards the vessel must meet, depending on the trade. Furthermore, the Indonesia survey team will integrate very closely with the Australia team, with the service extended to include full vessel cleaning program depending on the trade, and en-route monitoring until vessel reaches the loading port, where we will also inspect vessel to ensure that vessel is cleaned to the standard required. 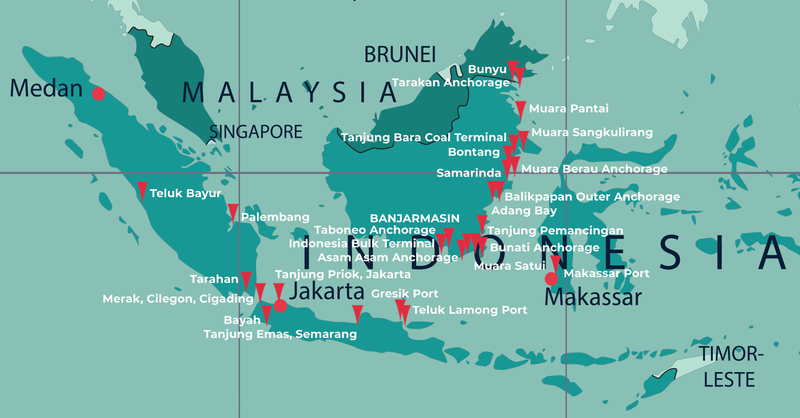 Due to our ongoing relations with Rustibus, we are also able to source and supply ‘Rustibus’ units, and spare heads for placing on board at a number of locations within Indonesia.